Married to Chelsea...Traded to D-backs for cash considerations (Dec. 30, 2018)...Lives in Miami in the offseason and spends time on his family's 23-foot CV boat, fishing and diving for lobsters. Spent the majority of the season with Triple-A Pawtucket, going 3-3 with 3 saves and a 1.86 ERA, 63 strikeouts and a .200 opponent average in 45 games…also made 9 appearances over 3 stints with the world champion Red Sox...Limited left-handers to a .148 average with 1 home run with Pawtucket...Posted a 1.04 ERA (4 ER in 34.2 IP) in his first 34 appearances with Pawtucket, including a 13-game scoreless streak (16.0 IP) from June 3-July 16. Made his 1st career Opening Day roster and appeared in a career-high 57 ML games over 3 stints for BOS...Received the Red Sox' Tim Wakefield Award for Community Service. Appeared in 7 games for Triple-A Pawtucket, all of which were scoreless. Ranked T-9th among ML rookie pitchers in appearances (6th among left-handers). Held LHH to a .121 AVG (8-for-66), which ranked 5th among ML pitchers (min. 75 BF)... Lefties began the season 2-for-29 (.069 AVG) against him. Posted a 0.98 WHIP, the 9th-lowest mark among AL relievers with at least 55 appearances. Allowed 0 runs in 45 of 57 appearances. Held opponents to a .184 AVG (7-for-38) with RISP. Limited opponents to a .080 AVG (2-for-25) over his final 15 appearances of the season (beginning 8/13). Stranded 29 of 40 inherited runners (73%) and retired 41 of 57 first batters faced (72%). Allowed the 1st run of his ML career on 4/28 vs. CHC, snapping a streak of 14 scoreless appearances to begin his career (since his ML debut on 9/2/16 at OAK), the longest streak for a BOS pitcher to begin a career since 1913. Allowed his 1st HR in the majors in his 26th career appearance on 5/23 vs. TEX (Joey Gallo)...Was also the 1st XBH he had allowed in his career to a LHH...Optioned to Pawtucket postgame on 7/17...Recalled on 7/28 when LHP David Price was placed on the DL. Optioned to Pawtucket on 7/31...Recalled for the final time on 8/12 when Dustin Pedroia was placed on the DL. Made his ML debut at the age of 27, pitching in 7 September games without allowing a run... Went 1-0 with 6 hits allowed, 5 SO, and 2 BB over 6.0 innings. Received the organization's 2016 Lou Gorman Award, given to a Red Sox minor league player who has demonstrated dedication and perseverance in overcoming obstacles while working his way to the Major League team. Earned Triple-A Pawtucket's Most Valuable Pitcher and Community Spirit awards. Selected to the ML roster on 9/2...Became just the 2nd BOS pitcher since 1913 to begin his ML career with as many as 7 straight scoreless outings (also Drake Britton, 7 in 2013). Made ML debut on 9/2 at OAK and pitched a scoreless 9th inning...Struck out his first 2 batters faced (Billy Butler and Matt McBride). Pitched 3.0 scoreless innings (6th-8th) in the Sox' 7-5, walk-off win over the Yankees on 9/15. Earned his 1st ML win on 9/18 vs. NYY after retiring both batters faced. Spent the majority of the season with Pawtucket, going 4-3 with a 2.54 ERA (22 ER/78.0 IP), a .202 opponent AVG, and a 0.91 WHIP in 32 games (6 starts) while striking out 73 and walking just 14. Posted a 2.38 ERA (6 ER/22.2 IP) in 6 Triple-A starts, keeping the opponent scoreless in 3 of those outings...In 26 relief appearances, held his opponent scoreless 19 times, going 3-1 with a 2.60 ERA (16 ER/55.1 IP) and a 0.83 WHIP out of the bullpen. Held left-handed batters to a .147/.206/.253 batting line with the PawSox (14-for-95, 31 SO, 4 BB). With Pawtucket, recorded a .161 opponent AVG (5-for-31, 9 SO) with 2 outs and RISP. Won his season debut in the 2nd game of a doubleheader on 4/9 vs. Buffalo...Allowed just 1 hit and 1 BB over 3.0 scoreless innings as the PawSox walked off with a 4-3 win. Made his 1st start of the season on 4/20 at Rochester, surrendering 2 hits over 4.1 scoreless innings with a career-high 5 SO in his longest career outing at that point. Earned the win in consecutive relief appearances on 5/17 vs. Norfolk and 5/21 at Buffalo, combining for 6.2 innings and allowing just 1 run. Collected his 4th win of the season on 7/27 vs. Rochester with a career-high 5.0 shutout frames. Over his final 14 games with the PawSox (including 3 starts), allowed just 5 ER over 31.2 IP (1.42 ERA) with a .191 opponent AVG and a 0.88 WHIP...Struck out 28 compared to just 6 BB. Combined with Double-A Portland and Triple-A Pawtucket to go 2-2 with 1 save and a 4.42 ERA (37 ER/75.1 IP) in 38 appearances (3 starts)...Named an Eastern League mid-season All-Star. Held LHH to a .170 AVG (16-for-94) and 0 XBH between the 2 levels...Held Double-A opponents to a .198 AVG (32-for-162)...Did not allow an ER in 13 appearances with Portland from 5/14-6/26 (20.1 IP). Was the only pitcher to throw more than 1.0 inning in the EL All-Star Game on 7/15, tossing 1.1 perfect frames... Entered the game in the 7th with 2 outs and the bases loaded and induced a groundout to keep the game tied at 4. Began his 4th stint with Pawtucket on 7/21 and spent the remainder of the season with the PawSox...Placed on the DL from 8/4-10...Made 3 consecutive scoreless appearances of 3.0 IP from 8/16-23. Led Portland relievers in wins (8) and ranked 2nd on the club in appearances (35) in his Double-A debut...Named an Eastern League mid-season All-Star. Finished 16 games for the Sea Dogs...26 of his 34 relief appearances were scoreless...Held righties to a .186 AVG (30-for-161). Allowed 0 ER in 13 of his first 14 outings from 4/6-6/13 (0.59 ERA, 2 ER/30.1 IP)...Went 2-0 with 2 saves and a 2.25 ERA (4 ER/16.0 IP) in 14 games from 7/14 through the remainder of the season (2 BB, 18 SO). Following the season, earned Arizona Fall League Rising Star honors after posting a 1.38 ERA (2 ER/13.0 IP) in 10 relief appearances for Surprise. Posted the 2nd-lowest ERA (2.79) among High-A Salem pitchers with at least 50.0 IP. Ranked among Carolina League leaders for relievers in opponent AVG (4th, .214) and fewest base runners per 9.0 IP (5th, 11.04)...Went 2-1 with a 0.57 ERA (2 ER/31.1 IP) over his final 13 regular season outings. Tossed 2.0 scoreless postseason innings for Salem during its run to the Mills Cup Championship. Made 14 relief appearances with the GCL Red Sox after beginning the season on the DL... Posted a 0.44 ERA (1 ER/20.1 IP), the 3rd-lowest mark among GCL hurlers with at least 20.0 IP. Ranked 2nd on the club in outings and 3rd with 11 games finished...Gave up 1 hit or fewer in 12 appearances... Held righties to a .188 AVG (12-for-64) and a .203 SLG. Purchased by the Red Sox from Yuma of the independent North American League on 8/9 after tossing 11.0 scoreless innings with 19 SO for the Scorpions. Made his minor league debut on 8/11 and played in 6 games between the GCL Red Sox and Short-A Lowell. 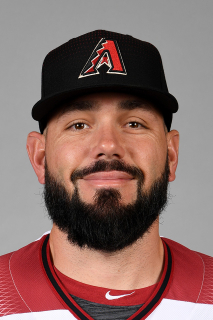 March 24, 2019 Arizona Diamondbacks optioned LHP Robby Scott to Reno Aces. December 30, 2018 Cincinnati Reds traded LHP Robby Scott to Arizona Diamondbacks for cash. December 21, 2018 Cincinnati Reds designated LHP Robby Scott for assignment. December 10, 2018 Cincinnati Reds claimed LHP Robby Scott off waivers from Boston Red Sox. September 1, 2018 Boston Red Sox recalled LHP Robby Scott from Pawtucket Red Sox. July 14, 2018 Boston Red Sox optioned LHP Robby Scott to Pawtucket Red Sox. July 11, 2018 Boston Red Sox recalled Robby Scott from Pawtucket Red Sox. June 23, 2018 Boston Red Sox optioned LHP Robby Scott to Pawtucket Red Sox. June 19, 2018 Boston Red Sox recalled Robby Scott from Pawtucket Red Sox. March 24, 2018 Boston Red Sox optioned LHP Robby Scott to Pawtucket Red Sox. October 12, 2017 Boston Red Sox activated LHP Robby Scott. October 5, 2017 Boston Red Sox reassigned LHP Robby Scott to the minor leagues. August 12, 2017 Boston Red Sox recalled LHP Robby Scott from Pawtucket Red Sox. July 31, 2017 Boston Red Sox optioned LHP Robby Scott to Pawtucket Red Sox. July 28, 2017 Boston Red Sox recalled Robby Scott from Pawtucket Red Sox. July 18, 2017 Boston Red Sox optioned LHP Robby Scott to Pawtucket Red Sox. October 12, 2016 Robby Scott roster status changed by Boston Red Sox. October 6, 2016 Boston Red Sox reassigned LHP Robby Scott to the minor leagues. September 2, 2016 Boston Red Sox selected the contract of LHP Robby Scott from Pawtucket Red Sox. April 20, 2016 Pawtucket Red Sox activated LHP Robby Scott from the 7-day disabled list. April 14, 2016 Pawtucket Red Sox placed LHP Robby Scott on the 7-day disabled list. Sprained right ankle. February 29, 2016 LHP Robby Scott assigned to Boston Red Sox. August 11, 2015 Pawtucket Red Sox activated LHP Robby Scott from the 7-day disabled list. August 5, 2015 Pawtucket Red Sox placed LHP Robby Scott on the 7-day disabled list. July 21, 2015 LHP Robby Scott assigned to Pawtucket Red Sox from Portland Sea Dogs. May 18, 2015 LHP Robby Scott assigned to Portland Sea Dogs from Pawtucket Red Sox. May 17, 2015 LHP Robby Scott assigned to Pawtucket Red Sox from Portland Sea Dogs. May 4, 2015 LHP Robby Scott assigned to Portland Sea Dogs from Pawtucket Red Sox. April 28, 2015 LHP Robby Scott assigned to Pawtucket Red Sox from Portland Sea Dogs. April 14, 2015 LHP Robby Scott assigned to Portland Sea Dogs from Pawtucket Red Sox. April 11, 2015 LHP Robby Scott assigned to Pawtucket Red Sox from Portland Sea Dogs. March 5, 2015 LHP Robby Scott assigned to Boston Red Sox. April 1, 2014 LHP Robby Scott assigned to Portland Sea Dogs from Salem Red Sox. February 28, 2014 LHP Robby Scott assigned to Boston Red Sox. May 25, 2013 Salem Red Sox activated LHP Robby Scott from the 7-day disabled list. April 30, 2013 Salem Red Sox placed LHP Robby Scott on the 7-day disabled list. April 2, 2013 LHP Robby Scott assigned to Salem Red Sox from GCL Red Sox. March 17, 2013 LHP Robby Scott assigned to Boston Red Sox. June 25, 2012 Robby Scott assigned to GCL Red Sox from Lowell Spinners. June 18, 2012 Robby Scott roster status changed by Lowell Spinners. August 27, 2011 LHP Robby Scott assigned to Lowell Spinners from GCL Red Sox. August 11, 2011 Robby Scott assigned to GCL Red Sox from Boston Red Sox. August 10, 2011 Boston Red Sox signed LHP Robby Scott.